Picasso included a number of etchings representing the sculptor's studio in a series of 100 prints commissioned by the dealer Vollard and subsequently known as the Vollard Suite, Picasso worked on this series between 1930 and 1937, during which time his marriage finally collapsed. In addition to the sculptor's studio etchings, the Vollard Suite also saw the introduction of a figure that was to feature extensively in Picasso's work during the 1930s - the minotour. 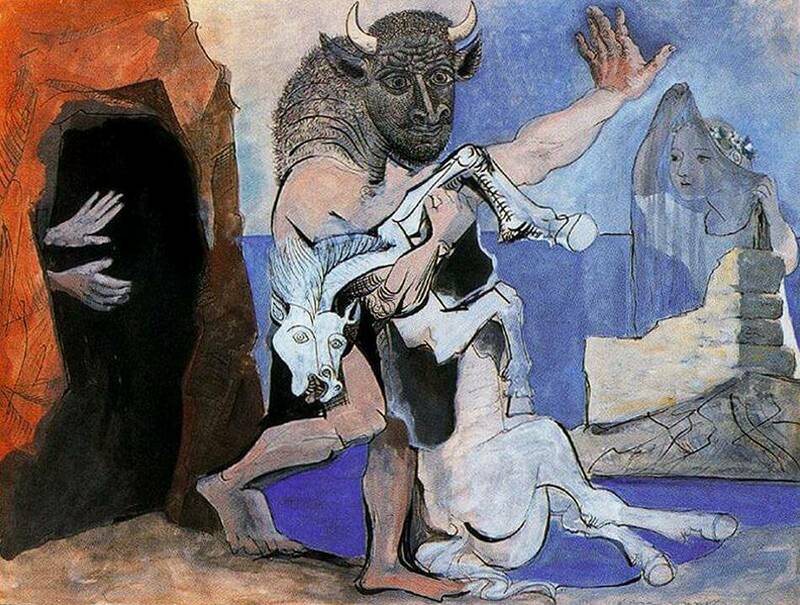 This mythological creature, half-bull, half-human, represented for Picasso the co-existence of good and evil, the primitive and the civilized, in humanity, Notably, this was something that Picasso porticularly valued in the Spanish tradition of the bullfight, and in 1934 he traveled throughout his native Spain to witness the sport he loved.